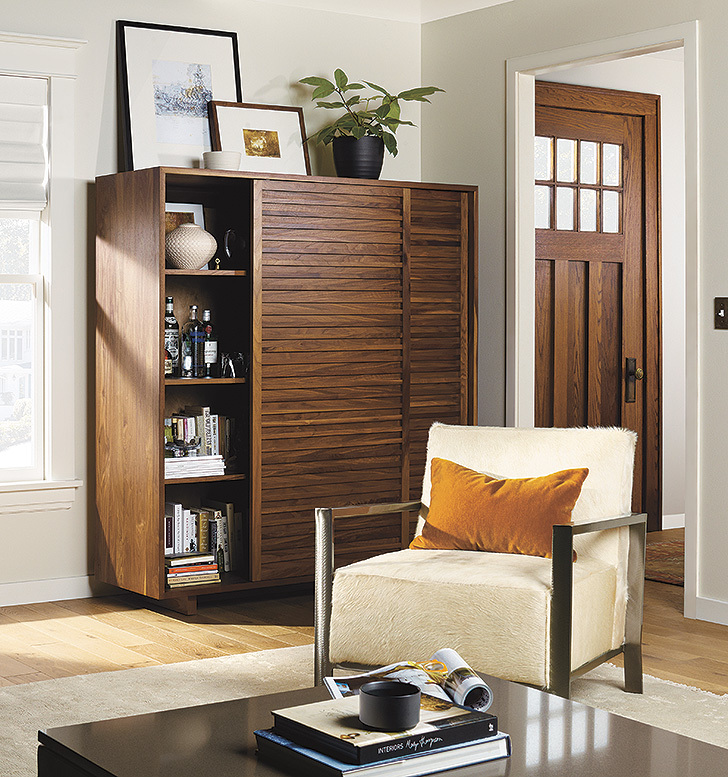 Most Room & Board furniture draws design influence from some combination of five cornerstone design movements: Arts & Crafts, Modern, Scandinavian, Shaker, and Japanese. Each of these enduring design movements share principles that we consider fundamental to good design, like honoring natural materials and working with simple, organic forms. Here’s a look at some notable parts of Japanese furniture design and how it can help make your home beautiful and functional. As Japanese furniture design took shape thousands of years ago, the main building material artisans had access to was wood. Woodworking mastery turned into an artistic tradition that was frequently exemplified in furniture design. Besides being beautiful, good joinery was essential for durable furniture that needed to last a long time. 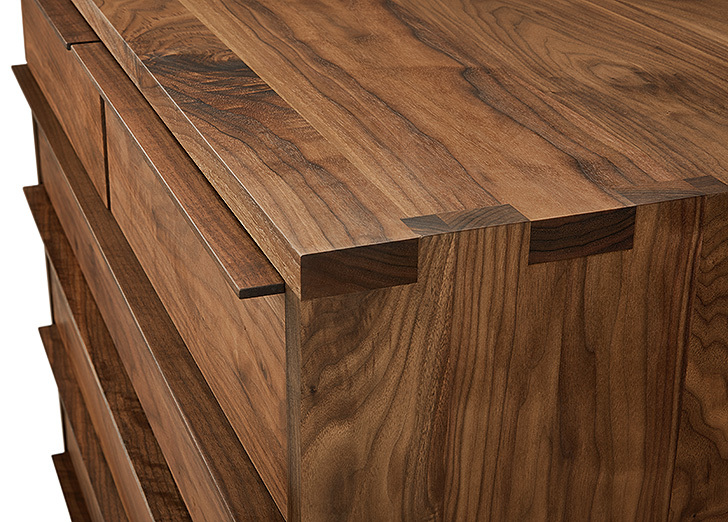 Our Anton dresser was inspired by Japanese joinery details. Though subtle, Anton’s joinery is an eye-catching, gorgeous detail that significantly strengthens the durability of the piece and adds an interesting story to your home. Like the Anton dresser, our Moro collection is another excellent example of the marriage of function and beauty—an important part of Japanese design. The Moro storage cabinet has ample storage within and makes use of vertical space, while the elegant sliding doors gently hide the interior and showcase the beauty of natural wood. George Nakashima is a famous Japanese American designer who embraces the natural beauty of trees, and emphasizes this in his organic designs. 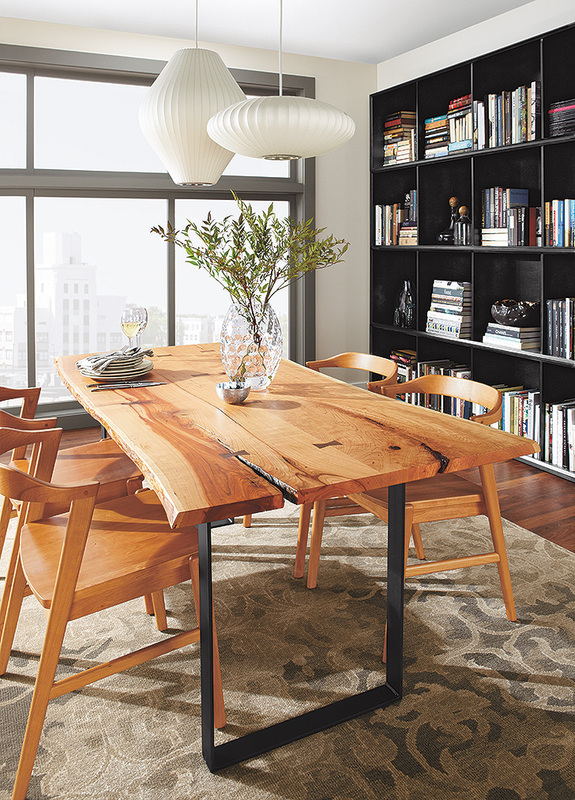 Nakashima has inspired our designs, including our Chilton table which features a live edge and butterfly joints. Just like Nakashima pieces, our Chilton tables embrace the unique character of each tree, ensuring no two tables are identical. You’ll notice these themes of Japanese design all work together, creating a holistic template for excellent furniture that emphasizes beauty, function and nature. Looking to incorporate Japanese design into your home decor? 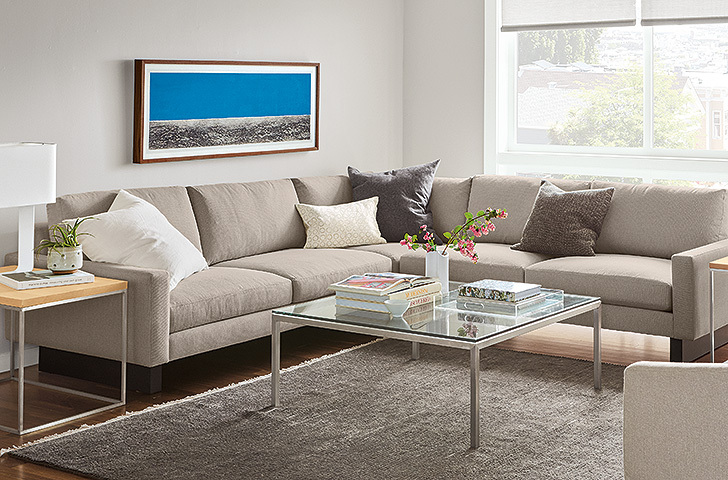 Room & board offers several items from Japanese artists, including our Adashino hanging flower baskets and original art from Ayomi Yoshida—learn more about the world-renowned artist.